For those wringing their hands at the recent name-calling between India and Pakistan, wring not, all may not be lost yet. “True face” and “small men” are endearments compared to “a mediocre woman with mediocre intelligence” and “not a very balanced man”. Yes, that’s what Zulfikar Ali Bhutto and Indira Gandhi said about each other. Yet, within days of this, they were all smiles and very pleasant and civil to each other in scenic Simla as their delegations hammered out the landmark 1972 Agreement on an electric typewriter borrowed from the Oberoi Clarke. Aside from telling us that the two countries have not grown up much in nearly five decades, this vignette from a historic summit also holds out the tantalising possibility that TF and SM might still come face to face, and, at the very least, desist from hurling epithets across the table. The choice language used by the leaders of South Asia’s two biggest countries against each other 46 years ago is among the many anecdotes narrated by Tilak Devasher in his latest book, Pakistan — At the Helm, his second on what is clearly his favourite country (the first was Courting the Abyss, out last year). The book is a series of speed biographies of each of Pakistan’s leaders, from MA Jinnah to Pervez Musharraf and Nawaz Sharif and everyone in between, told through such entertaining nuggets about them. And Devasher, who served in the Research & Analysis Wing, and was posted in Pakistan in the 1990s, makes it clear from word go that this is no kid-glove treatment. The stories that come tumbling out at the reader, one after the other, in chapter after chapter, are none too complimentary. They paint quick portraits of bumbling, arrogant, delusional and corrupt men, not to forget the one woman, as they make one bad decision after another, which among other things, led to the division of the country in 1971. Those who follow developments in Pakistan would have come across many of these stories elsewhere. So, for instance, General Ayub was a below-average soldier who had been sent back from Burma for showing “tactical timidity”, and might have had a crush or more on Jackie Kennedy, whose autographed photograph adorned his bedroom; Zulfikar Ali Bhutto pleaded with the State department to swing a place for Benazir at Radcliffe; on being told of Lal Bahadur Shastri’s death in Tashkent, hours after he and Ayub had signed the Tashkent Declaration to end the 1965 war, Bhutto, who was also present and was fuming at the terms of the agreement, said “he must have died from happiness”; Yahya Khan, who presided over the 1971 defeat, was called Tweedle Khan by the Economist, and his “frolicking” included parties where drunken guests progressively shed their clothes; soon after arriving in Dhaka, Lt. Gen AAK Niazi told the outgoing GoC who was giving him a handover briefing, “Yaar ladai ki fikr nahi karo, wo to hum kar lenge, abhi to mujhe Bengali girlfriends ke phone numbers de do”; Gen Zia-ul- Haq’s office was a “junkyard” of files that he had put away to see later, but never opened; as COAS, he gifted wristwatches to the soldiers who were in the guard of honour on his first day in office, and always took gifts of money or shirts, suit lengths etc, to distribute to other ranks and non-commissioned officers; Nawaz Sharif could have a whole chicken for breakfast, and was seen wolfing down burgers before his 2016 heart surgery. Perhaps, the most poignant story in the collection is about Iskander Mirza, who, banished by Ayub to London on a paltry pension, lived out his last days on hand-outs from friends, including the Iranian ambassador to London. When he died in 1969, he left behind a total of 939 pounds, which, after taxes, worked out to 221 pounds that was distributed among his wife and children as per shariah law. Pakistan ignored his death, but the Shah of Iran had his body flown to Tehran in a special plane where the ambassador, by then his country’s foreign minister, received it. His body lay in state at the Sepah-Selar Mosque, and was taken in a gun carriage through Tehran. He was buried with state honours in a mausoleum built for the foreign minister’s father. The book also has a solid chapter each on the flawed decisions and the unpreparedness of the Pakistan Army for Operation Gibraltar and Grand Slam, and the mistakes that led to the 1971 war with India. There are plenty of LoL moments in the book. Devasher has provided iron-clad references for each of the vignettes, so there is no quarrel with authenticity. But, bringing out the flaws of all leaders together in one volume has the effect of magnifying them in a way that a caricaturist or a cartoonist might highlight a prominent nose or teeth, as opposed to what a portraitist might come up with. As you read the book, it is good to remember that a country is more than the sum of all the faults of all its leaders. 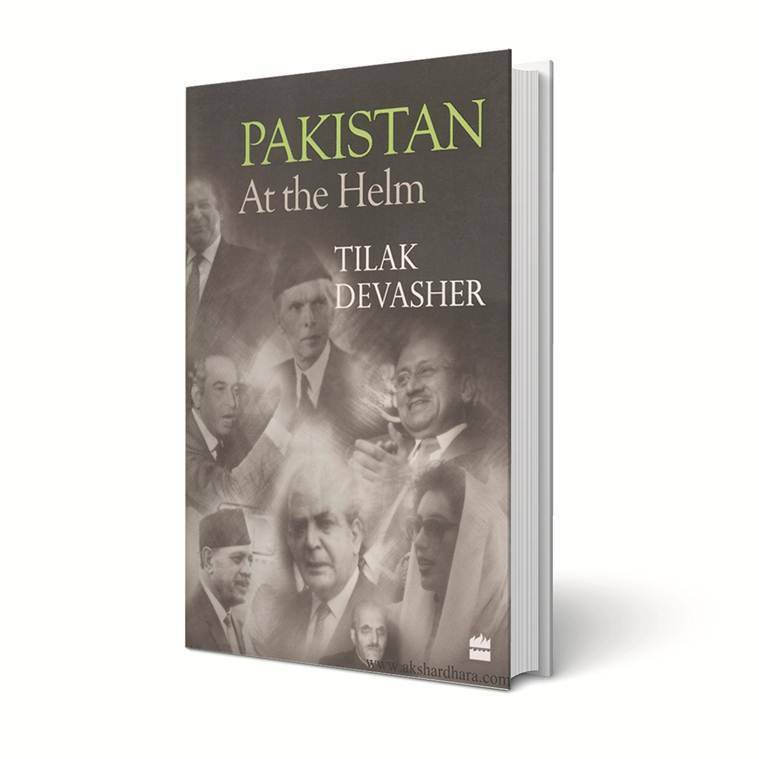 Devasher, too, is quite clear about that, saying right at the beginning that this is “neither a conventional history of Pakistan nor a biographical one” but an “analysis” of anecdotes that he found as he was researching his first book. Imagine a similar exercise about Indian leaders. There would be enough to fill several volumes. 2 Where’s the money coming from?